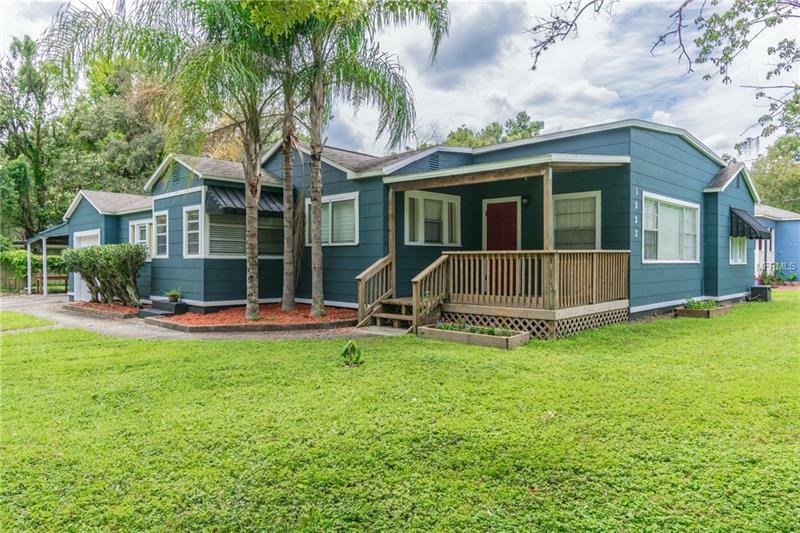 This 3 bedroom, 2 bath home located on a large corner lot in Old Seminole Heights has been beautifully updated but has retained all of the inherent charm of its Bungalow roots. This home has an open, light, and bright interior and the floor plan is very functional which is hard to find in these classic homes. The original hardwood floors remain throughout except in wet areas which have been updated with ceramic tile. The exterior was just painted prior to listing and all of the appliances are included. This home has a one car attached garage and a 2 car carport which allows for plenty of storage and parking. The inside laundry room has plenty of space and also has a stackable washer and dryer included! A flex room is located in between the laundry room and kitchen-the perfect space to utilize as a huge pantry and storage for pots and pans. The open kitchen has on-trend light wood cabinetry, dark granite countertops and stainless steel appliances. The family room is large and has plenty of windows to let the sunshine in. There are 2 more rooms that can be used for a formal dining room, living room or office space. This floorplan is very functional and the rooms can be used to fit your personal lifestyle. Beautiful french doors lead to a custom, private wood deck with a sunscreen for enjoyment all year round. The yard is fenced and has beautiful trees in the front and back. Walk to parks and local dining. This is the perfect location to take advantage of all that SoHo and Downtown have to offer.